Bright and bubbly Bluebell doesn’t let anything slow her down. 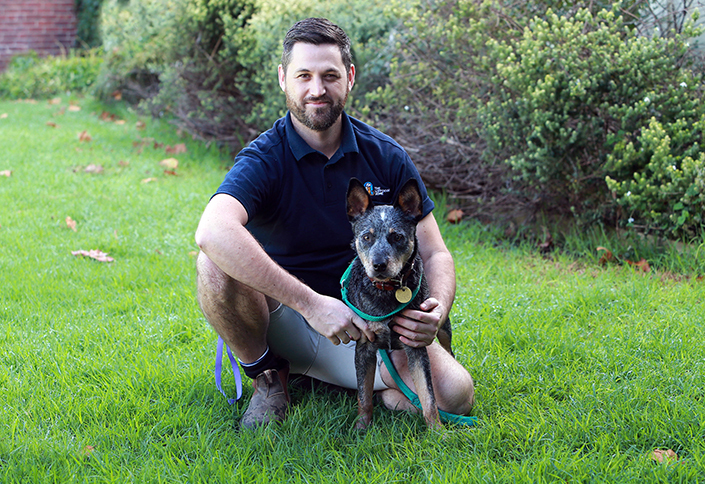 The deaf heeler cross is ready to find a new home, where her eagerness and intelligence can continue to turn heads! 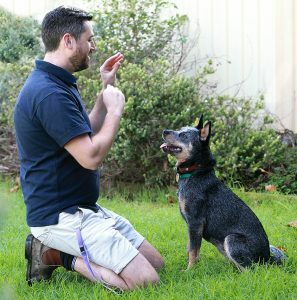 Being deaf is no barrier to Bluebell’s learning ability; it simply means her trainers have to get creative. Using sign language and positive reinforcement training, they have taught Bluebell a range of skills. “We have spent time with Bluebell in short 10 to 15-minute training sessions, using high value food rewards and sign language to tell her she has done a good job and a food reward will follow,” said Craig, adoptions attendant at the Home. “We’re also working on ‘lay down’ and ‘roll’, using a twisting fist motion,” said Craig. Though Bluebell will soon find her forever home, she will always have a special place in the hearts of everyone she has met at the shelter. “When Bluebell arrived at the shelter, we instantly locked eyes with each other and that was it. I think we both knew we were going to do some great things together,” said Craig. “Bluebell’s personality is vibrant, inquisitive and super intelligent; she loves to learn and be with you. She is gentle, smart, fun and funny. Bluebell will make a wonderful addition to an adult home or family with teens, and she may be happy sharing her place with another friendly dog. She will thrive being allowed inside and getting involved in family activities. If you can offer a special home to this special dog, view Bluebell’s (ID 1028608) adoption profile or meet her at our North Melbourne shelter.